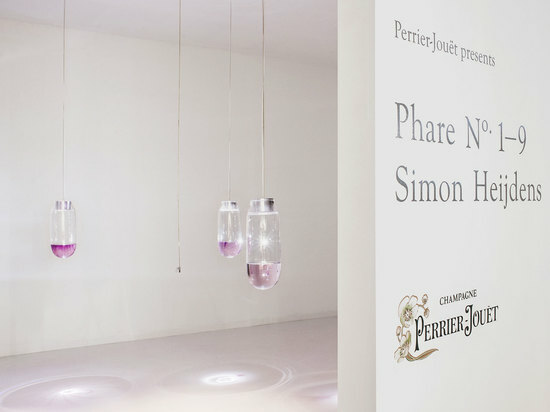 Commissioned by Perrier-Jouët House of Champagne, Phare No. 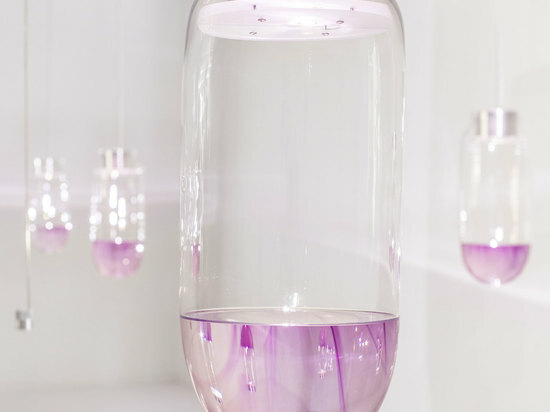 1-9 is a new light work from London-based designer Simon Heijdans. 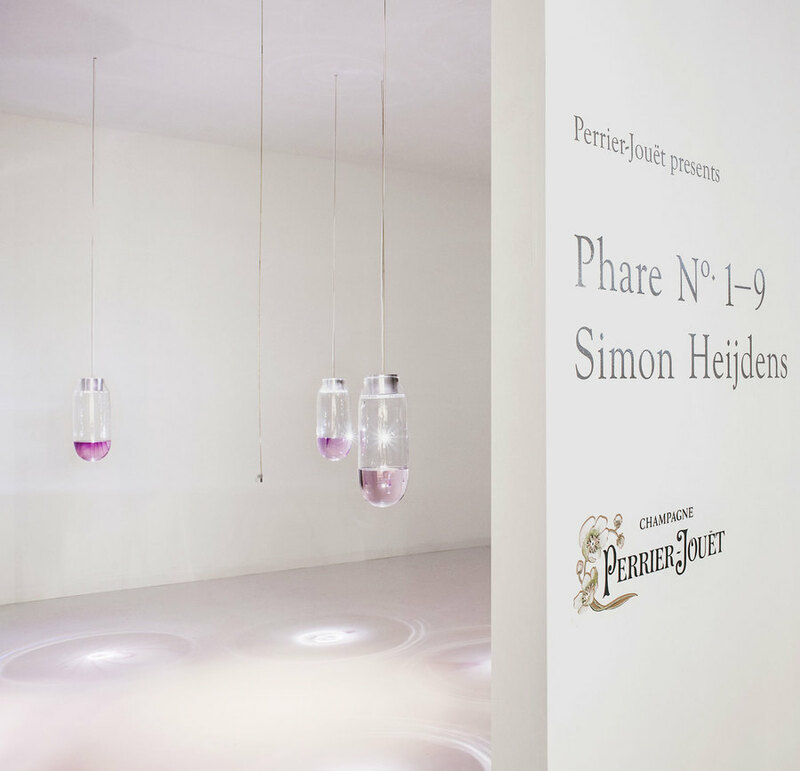 Unveiled at Design Miami, the installation reinterprets the design principles of Art Nouveau that are so dear to the Perrier-Jouët brand. 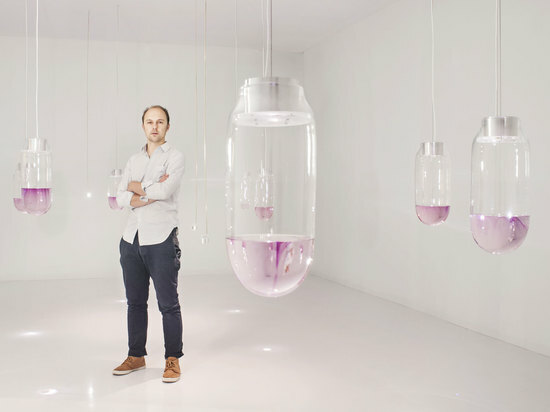 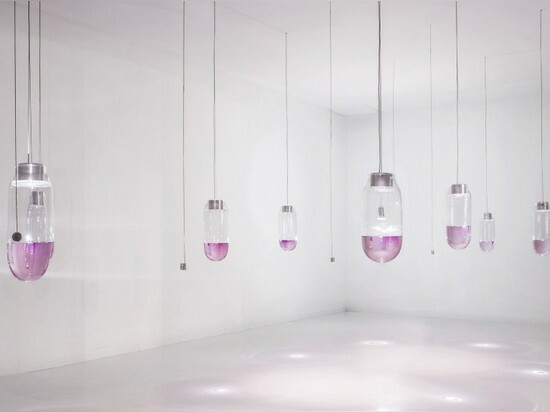 It consists of nine hand-blown glass vessels that are partially filled with transparent liquid and suspended in a white room. 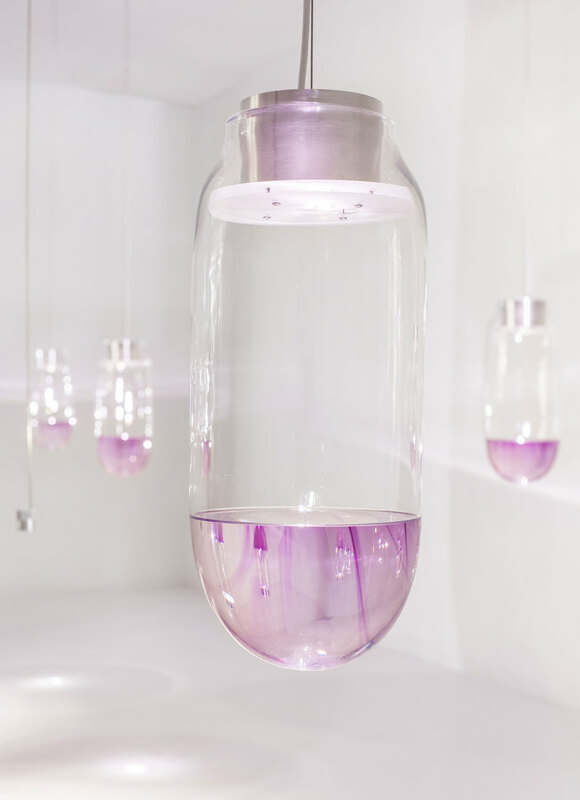 Each vessel is its own phare (lighthouse), containing an internal light that draws on the water inside. 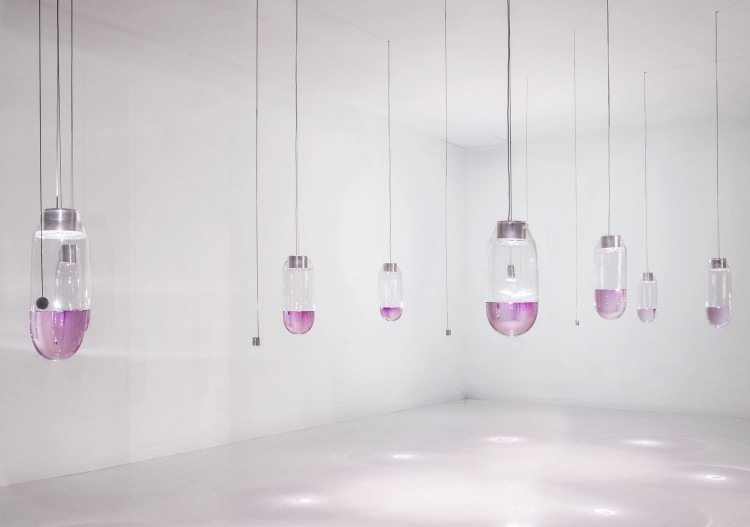 The lamps refract the light, projecting the drawings onto the walls and creating an interactive narrative for visitors. Definitely a must-see at this year’s show.